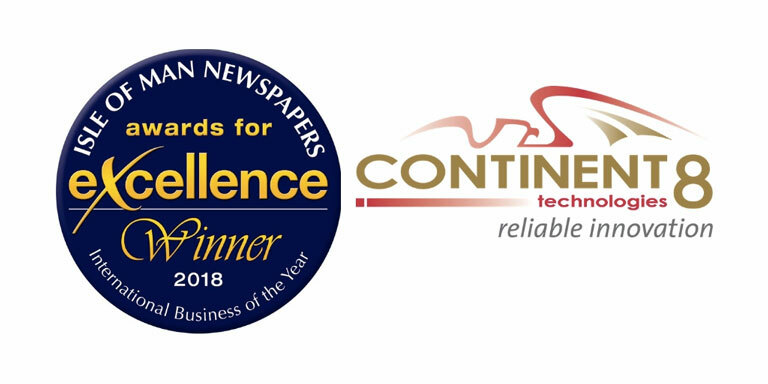 Global data solutions provider Continent 8 Technologies has been named International Business of the Year at 2018’s Isle of Man Newspapers Awards for Excellence, in a ceremony held last night at the Villa Marina, Isle of Man. Now in its 13th year, the Awards for Excellence has recognised more than 300 local companies, creating a opportunity to recognise success for companies, individuals, the public sector and the charitable sector. This is the second time Continent 8 has been recognised for success and innovation, following up 2014’s award as Company of the Year. In accepting the award on behalf of Continent 8, David Black thanked the organisers, judges, shareholders, the global team and led a touching tribute following the recent tragic loss of colleague, Paul Steer. Read the original article at InterGame.